Scale armor became a popular style among several different cultures, most notably Greek and Roman. No matter which warrior style you choose, the Iron Scale Armor is an authentic way to stay protected during your battle reenactment. 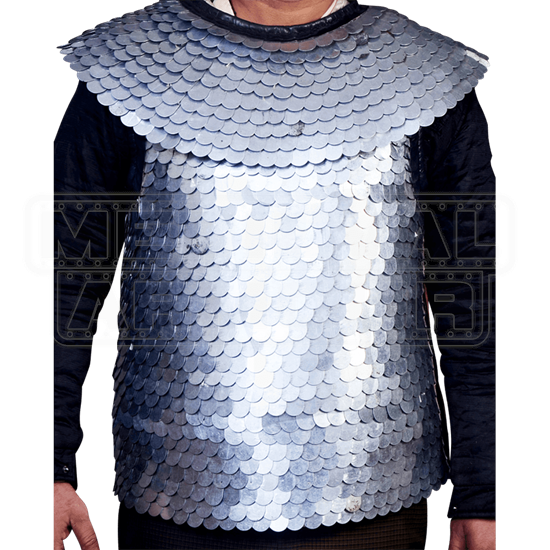 This scale armor is crafted from hundreds of overlapping iron pieces, stitched to a simple backing. At the collar, the backing remains unadorned in order to keep the iron pieces from irritating your skin. The armor features a tunic fit at the torso, while a mantel hangs over the shoulders. 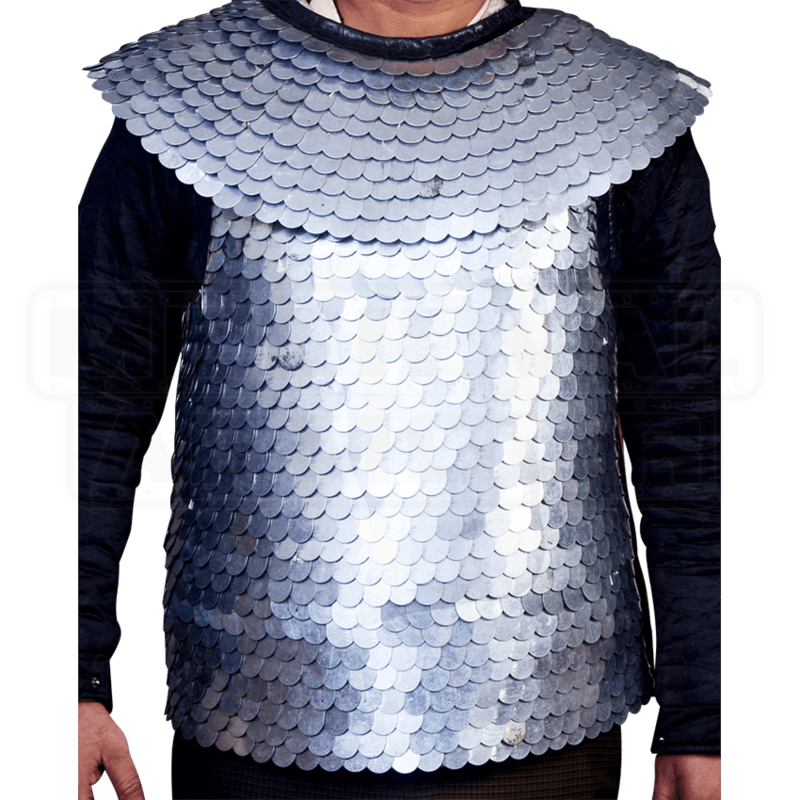 Designed to fit almost any warrior, the Iron Scale Armor is a classic choice for warriors from the Greek and Roman eras to wear when they need protection.